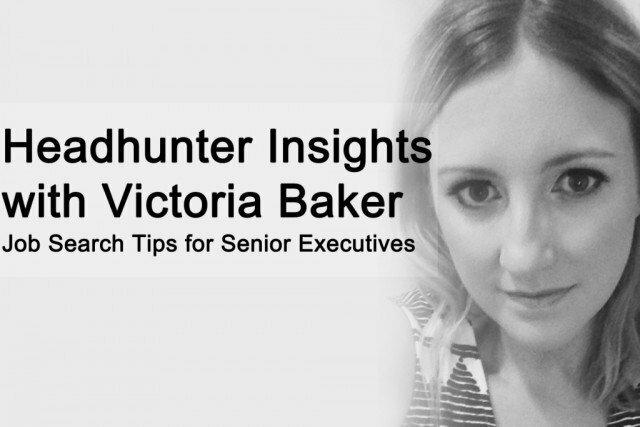 This month, we spoke with Executive Headhunter Victoria Baker to bring you more job search guidance from the Headhunter’s perspective. As a Generalist Headhunter, Victoria’s role covers the end-to-end recruitment cycle and she has particular expertise at recruiting at senior/management level within a range of sectors. Here, Victoria highlights the importance of transferable skills, and shares her best advice to help senior executives improve their approach to networking and making that all-important positive and lasting impression. I’ve been an Executive Headhunter for just under two years now. I’m relatively new to the game in comparison to some of my colleagues but after two years in this industry, you’ve either sunk or swam… and I’m still here. I’ve adopted a whole-of-market approach to headhunting since joining Executive Headhunters and seem to have worked for clients in every industry possible, and I have built up strong networks and experience in the tricky engineering sector. Prior to headhunting senior executives I was a secondary school teacher. So you might say I was well primed to deal with chaotic schedules and putting in the extra hours. In fact, transferable skills are holding more and more value for candidates as the UK struggles with a skills gap and employers generally struggle more to fill roles themselves. We find many senior level candidates struggle to network effectively; what networking tips can you offer? We all know and hear about big networking events such as industry conferences and trade shows and a lot of professionals will be invited to local meet-ups as well. These are great opportunities to build your network if you really make the most of them. I know you’re a busy person and networking events can take precious time away from your day and if that’s a barrier to you networking then you should know there are alternatives! Have you tried contributing to discussions in LinkedIn groups or on Twitter? These options are great because huge amounts of people can be involved regardless of location. I think it’s a common mistake for people hell bent on selling themselves to talk too much, especially about themselves. The one thing people love more than talking about themselves, are people who show an interest when they talk. Use this to your advantage by listening to people and building a connection. This also opens you up to the opportunity of offering useful advice to people which will endear you to them even more. If you don’t ask, you don’t get. Don’t try to manipulate someone into introducing you or arranging a meeting, just ask for it. Senior professionals generally have a straight-down-the-line attitude and respect other individuals who behave the same way. Get on their level – but don’t be too pushy. So you’ve come home from a conference with a handful of business cards, what do you do now? If your answer is nothing then you’re failing, badly. Always follow up on your conversations with a light email saying how much of a pleasure it was to meet them with an invitation to reach out to you should they need help in the future. Also, don’t be that person who makes false promises to aid conversation. Be sure to follow up on your promises otherwise you’ll soon gain a poor reputation. Having a noticeable and impressionable personality will aid you greatly. If you can stay in the forefront of the minds of people you meet, they’ll be more likely to name drop you in conversations with their contacts. Make sure people know what you’re doing now and what you have in the works to create a trigger in their memory. What specific industry insights can you share with candidates? My insight relates more to the state of UK employment as a whole. I read recently that three in four UK firms are struggling to recruit for their vacancies. The main reasons for this are the escalating shortage of skills in the country, and increased competition for talent as UK unemployment hits its lowest levels since the recession on 2008. As a headhunter, these conditions are perfect as we are experts at sourcing talented individuals whom are happy in their current roles and not on the job market. Essentially, our exclusive pool of candidates is getting bigger. Senior individuals such as directors and managers, along with specialists and technical staff are the hardest vacancies to fill. If you fit in to any of these categories, you should get in touch with a headhunter because now is your chance to make a serious move forward in your career – you’re in demand. With the UK workforce in its current state, networking and building relationships with headhunters has become more important and advantageous than ever. Please don’t hesitate to contact me directly if you have any questions or you are looking for an opportunity. All of our live roles can be viewed and applied for at www.executiveheadhunters.co.uk.